Now we know that freedom of speech is a B*tch ! and Black bloggers have take it to a new level. As far as we are concerned we try to stay credible because we have journalism backgrounds but the average reader does not care about fact checking….. they want to know if Sanaa is dating Ludacris… they want to know is Nia Long really slept with anyone on the set of Love Jones. It does not sell papers but it gets hits . This blogging world has created an entire different source of income for black american…. Thanks to the good folks at Rhymes…. 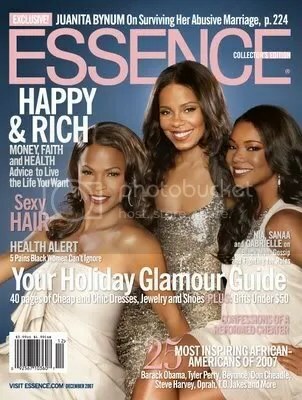 Read what the ladies that grace the cover of Essence Magazine has to say about black bloggers. Gabrielle: Just last week somebody gave me a baby. This isn’t Perez Hilton or the White gossip people, these are women of color, specifically Black women who, for whatever reason, don’t like the company I keep. Sanaa: She’s talking about the gossip sites. Sanaa: That are run by Black women. Gabrielle: And now because everyone is clamoring for celebrity tidbits, the bigger gossip sites and even mainstream entities are picking up on it. No fact-checking, no nothing. And in one week’s time, there were like five different dudes, a baby—I’m a homewrecker. In literally seven days. I can’t point the finger at the White media. They don’t care about us. Paparazzi are not staked out in front of any of our houses. They are not going through our garbage because they don’t care about us in that way. So when you hear crap about us, it is coming from our own community, which hurts. Nia: We are some of the few Black actresses whose passions are rooted in our community. Gabrielle: There is this idea that there is integrity in journalism; if it’s written it has to be true. But that’s not the case. When blogs or any of the magazines get it wrong, there’s no accountability. In the next breath, they’ll complain on the blogs that we don’t have enough Black stars. Well, you rip us to shreds every two seconds from our nose to the weave to the clothes to the shoes to the ashy ankles.
.::Nelly’s mad at Essence Magazine::. Nelly says he has help save lives….. “HAVE YOU DONE THAT?” Nelly is referring to his candid sit down with the good folks at SOHH. 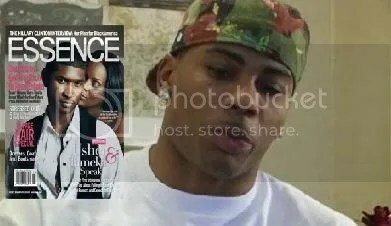 Nelly goes on to rant about why he will never be offered to be on the cover of ESSENCE MAGAZINE. You are currently browsing the archives for the Essence Magazine category.